Fort Collins, CO. To Houston, TX. Anyone passing through Fort Collins, CO, & headed towards Houston? Re: Fort Collins, CO. To Houston, TX. I'm in Greeley until the 25th. Hell Yeah! SLC, I'm stoked you're here now Man! I need to fix my POS & hit MOAB with you! RustyPW wrote: I'm in Greeley until the 25th. Right on Sir! What are you doing here?! It's a bit of a long haul for you! Wife was missing the grand kids. Have one son in Greeley, and one in Erie. We make this trip about 2 or 3 times a year. I wish I could role up with you, that looks awesome! feeesh wrote: I'm in Houston! Awesome! It's always good seeing Family! You & your Wife have a great time & safe travels Sir. I wish we could get together & wheel, however I'm still in the middle of our move/settling/as well as working for a new Company locally. 4 wheeling is out of the question until my arm heals. RustyPW wrote: 4 wheeling is out of the question until my arm heals. I hear that, my junk is broken anyway. This will be the first "Big Trip" showing off the big trailer. Sponsorship with Avery-Dennison came through, they're supporting us with wrap material for the truck (again) and trailer (which looks siiiiiiiiiiick). Turns out you need a lot of vinyl to wrap a 45ft trailer. Wrap's getting installed, living quarters are getting finished out, bunch of little parts/pieces to install and wire in this weekend. 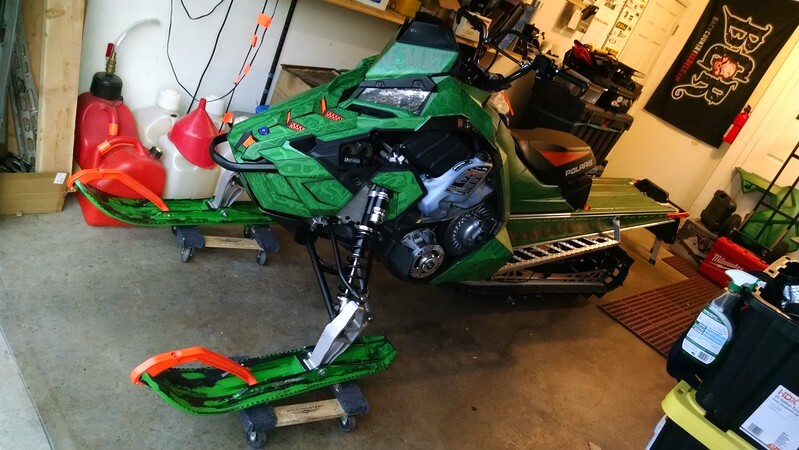 My sled's cleaned up, polished, and show-ready; hauling it up there and it's making the trip for show-off again. 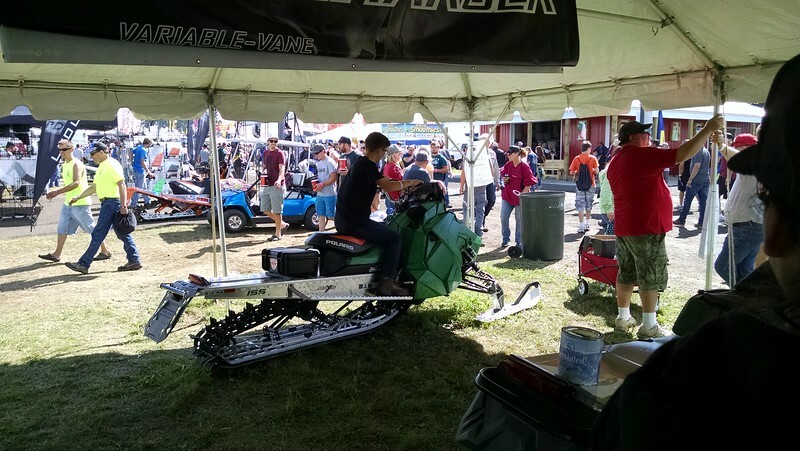 Haydays is one hell of a party.... definitely a "rite of passage" to becoming a real snowmobiler. (This'll be my 5th year... '12, '14, '15, '16.) SCN9 if anyone's going; right on the main road by the Snobarons shed where the ATV's are dispatched from... between swap fields and the food vendors.